Jerome Murdough and Robert Saylor had almost nothing in common during their lives, with two exceptions: a trust in the system that eventually killed them, and the lack of killer. 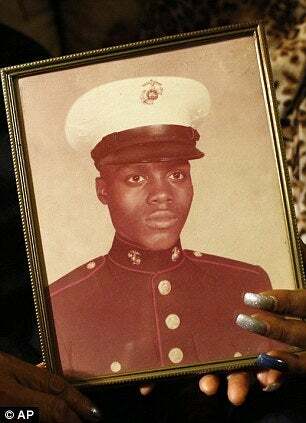 At the time of his death, Murdough was fifty-two years old and living in Riker's Island, he had previously been homeless, and before that he had been a Marine, with the AP reporting that he did at least one stint in Okinowa, Japan. When taken in for trespassing in Harlem, he was given anti-psychotic drugs by the New York Department of Corrections. "Exposure to intense heat for a couple of hours by someone on such medications could be fatal", an expert told the AP. His body temperature was over 100 degrees, and despite regulations promising patients in mental-observation-units a check-in every fifteen minutes, it was over four hours before someone noticed he was dead. Robert Saylor was only twenty-six when he died. He had Down's Syndrome, and according to the Washington Post was "known for his hugs and was so fascinated with the police that he would sometimes call 911 just to ask a question." Back in January 2013, he and his 18-year old caretaker went to see Kathryn Bigelow's Zero Dark Thirty. Saylor liked the film so much, he wanted to see it again. He didn't have a second ticket, though. Saylor got upset when they couldn't and his caretaker called another one of his caretakers, who recommended that she go outside and pull up the car. She did, and when she got back she saw police had arrived to force him to leave the theater. She warned the police that he would "freak out" if they touched him, but they did, and in a situation that reminded the New York Times Editorial Board of the death of Eric Garner, killed moments after they shoved him to the ground. Much like Garner's case, Saylor's weight came under the spotlight as the supposed real cause of his death, despite his family saying he had never encountered breathing problems due to his weight before. In another similarity with Garner, the Frederick County Sheriff's Department has claimed the threat of violence from Saylor, a statement shocking to his mother, who told local news he "has never had anyone put their hands on him in their life. He would not have been doing anything threatening to anybody." The differences between the two men were vast, including race and socioeconomic standing (it's safe to assume that Murdough did not have multiple caretakers). The two share much more in common after their deaths: no one has been found responsible for either. Last week, a Maryland grand jury that there was not enough evidence to indict any officers for their actions in their deaths. Murdough's case, under the bright lights of the New York tabloids, has yielded news that at best could be called mildly optimistic: a guard, Carol Lackner, has been charged with falsifying records that claim she was making rounds the night of Murdough's death. This is surely better than no charges, but the question remains: who killed Jerome Murdough? In October, New York City Comptroller Scott Stringer announced a $2.25 million pre-litigation settlement. According to the legal website Law360, one "advantage of settling a case before it's seen the inside of a court room is that it takes the emotion out of the" case. Stringer apologized to Murdough's mother on behalf of the city of New York. Again, settlements and apologies are very nice, but it does not answer for what the Murdough family lawyer called the "death penalty, simply for being arrested for trespassing. He never got an opportunity for his day in court". Neither did Robert Ethan Saylor. Both of their assailants remain nameless, faceless killers, looming over their bodies, ready to strike again at a moment's notice.